Perennial herb, up to 90cm tall, native to the Mediterranean, West Asia, naturalized in Europe; stems erect, pyramidally much branched, pubescent; leaves ovate, base rounded to subcordate, margin serrate-crenate to obtusely serrate; corolla creamy white, 1.2-1.3 cm, villous outside, upper lip emarginate, middle lobe of lower lip obliquely spreading. M.officinalis plants from different populations cultivated in Poland yielded 0.08-0.25% (leaves) and 0.06-0.167% (herb) of essential oil. Main components of the oil from the leaves were citral (10.8-64.5%), citronellal (3.6-15.1%), caryophyllene oxide (5.8-18.6%), and β-caryophyllene (0-12.2%). 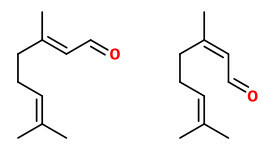 Statistical analyses showed two chemotypes of M.officinalis: An chemotype (ct.) citral and chemotype (ct.) β-caryophyllene oxide. The main components of the essential oil of the ct. citral were citronellal 3.5-59.9%, geranial 10.9-45.6%, neral 6.7-34.2%, β-caryophyllene 1.1-8.8%, germacrene D 0-1.9%, and β-caryophyllene oxide 0.3-6.2%. The main components of the ct. β-caryophyllene oxide were β-caryophyllene oxide 18.3-54.0%, β-caryophyllene 4.7-18.6%, and germacrene D 1.7-13.6%.